Love books? Love BIG books? Our friends over at Bristol's U Graphic have furnished the perfect badge for you, a pin to celebrate those who see their reading as nothng less than a doorway into an entirely new world. 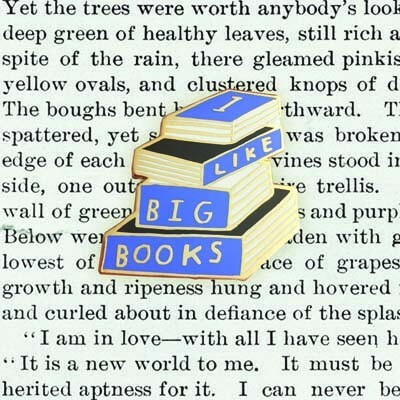 For fans of monster volumes, the I Like Big Books badge is the perfect medal of honour to demonstrate their passion for reading that comes only Extra Large.